Are you looking to switch up your workout but don't want to give up your mileage? 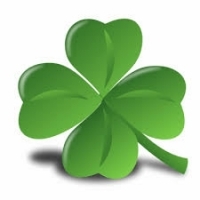 Join us for the 4 Leaf Clover Challenge! We will mix miles with core and total body workouts, pace runs and bridge repeats. A shorter distance run incorporating core and body strengthening exercises, a pace workout or bridge repeats. We will think of the plan and make sure it's different and fun every week! A longer run followed by a short core routine at Fleet Feet. Includes awesome St Patrick's Day themed shirt, weekly email and accountability! St Patrick's Day themed Fun Run on Thursday, March 16th at Fleet Feet! Raffles, giveaways and FREE BEER included!